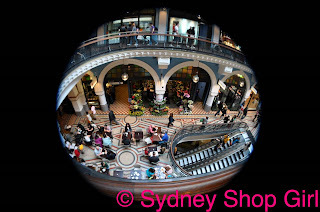 Sydney Shop Girl: Soul Princess Asks, Sydney Shop Girl Answers. Written in response to the challenge that has been set by Soul Princess - one of my favourite bloggers from across the seas in Oslo. I love her independent minded, go getting attitude to life. How much does your online, and blogging life interact with your real life? Is it a big part of it? Or is your blog a mechanism to improve your real life or your business? I initially started this blog to serve as some kind of proof that my life isn't actually as predictable as I feared it was, I also wanted to 'do new things' in 2010. My aim was to write as frequently as I could about aspects of life that don't really lend themselves to daily conversation (or facebook status updates). It's been a chance to record my thoughts, develop them into prose and hopefully entertain anyone who should stumble upon my writing. I see my blog as both a memoir of my life as well as a response to it. Blogging has helped me rediscover how much fun writing can be. It has been a creative outlet and also a reason to learn and research a wide range of topics. Something that constantly fascinates me is that people read my blog through google searches for various topics. How I love my feedjit stats. 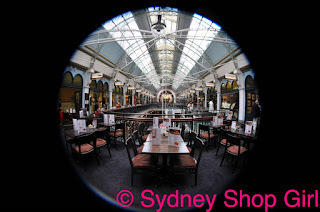 The blog has led me to discover other 'new things' - photography, new places to eat and perhaps most rewardingly, many new friends from around the world and from different walks of life. I have been priveleged to have read their blogs, written with honesty, humour, style and good old life experience. Other peoples' blogs have brought up topics that have inspired me to explore and respond to. For these reasons, I don't see my blog as 'separate' from the rest of my life. I don't write in a different persona, in an imaginary place or situation. I make a point now to use my own images (wherever possible) as illustration for my posts. I admire blogs that source their images from professional sources and I respect the skill it takes these bloggers to edit them into their own blogs. My intention with my blog is to keep it as 'real life' as possible. I didn't intentionally start the blog to improve my real life or for business purposes. Indirectly though, blogging has improved my life by encouraging me to observe the world more closely (to write about it later and photograph it now), to try different things and to fall in love with the English language all over again. How about you and your blog?